Fondant glue is an interesting topic I must say. Fondant is so widely used as cake decoration, not only as a cake covering and decoration on fondant covered cakes, but also as decoration on buttercream covered cakes. Here is an example of how I used fondant decoration on buttercream covered cake. When buttercream is the base for sticking fondant decoration or cut outs, I do not use any 'glue'. Small flat fondant cut outs stick on buttercream icing without the help of any special medium such as fondant glue. See the circle blue, white and green motifs on the cake? Those are cut out from fondant and the entire cake is covered in buttercream. In fact, the 'happy birthday' plaque is also cut out from fondant, and I did not need any 'glue' to stick it onto the buttercream covered cake. 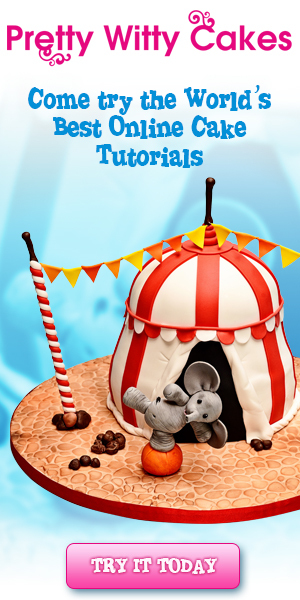 The tips I am sharing below are specifically for sticking fondant cut outs or decoration on fondant covered cakes. I did not learn all this these at one time, I discovered them along the way, over the last decade or so of my cake decorating journey. There are 3 types of 'fondant glue' I use in my cake decorating projects. Water - this is the most cost effective and easiest method. I mean, all you need is a brush and some water ( I use drinking water). 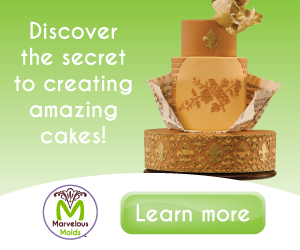 Brush your fondant cut outs with a damp brush and simply stick them onto your fondant covered cake. Please be mindful not to be overly generous with the water, you only need to use a damp brush to moisten the cut outs for them to stick onto the fondant. Sodium Carboxy Methyl Cellulose (CMC) Glue - Do not be overwhelmed with the name of this substance. This powder is commonly known as CMC and is widely available in cake decorating stores. It is a food additive used in fondant to allow it to retain the shapes of various designs it is used to form. You can make CMC glue by simply adding water to it. For every 1/4 tsp of CMC powder, add 2 tablespoons of water and mix well. Keep it covered in a bottle and that way, it does not dry up and can be used for many projects. Click here to see how I make my CMC fondant glue. Shortening - Surprised? 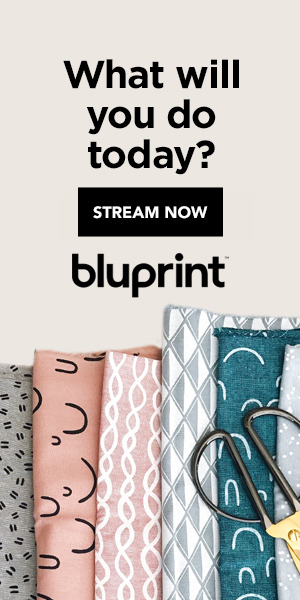 Well, don't be. I have to admit, this is the best glue for fondant, at least for me. I use this for most of my projects. The biggest advantage of using shortening as glue is that you can remove your decorations and put them on again, with having to worry about leaving any marks on your fondant base, unlike water based which tends to leave water marks and color stains when you remove and rearrange fondant decorations. Shortening helps to hold fondant cut outs in place and is easy to use. All you need to to do is apply a thin coating for shortening onto the pieces you would like to stick and stick them and that's all. When do I use each of these Fondant Glue? So when do I use each of the above types of glue? Frankly speaking, since I discovered the CMC glue and shortening, I hardly use water anymore. I use the CMC glue for heavier decorations like fondant bows and gumpaste flowers. CMC glue dries hard and faster than water, so its very effective for heavier decorations. With shortening, there is a risk of the decorations not holding in place and sliding off. Therefore, I tend to limit the usage for fondant cuts and lettering as it gives me the much needed flexibility of being able to remove and adjust them to perfection! Here is a cake covered in fondant I made not too long ago. This is a remake from an image provided by my customer. Credit goes to the original designer. Notice the large bow and the tiny pink bows on Minnie's face around the cake? Those are attached with CMC glue. They are heavier than simple cut outs, so CMC helps to 'glue' them in place. The birthday girl's name, MEENA, is attached to the cake with shortening. These letter cut outs are light, and the tendency of having to adjust the letters so that they are in a straight line is higher, so shortening makes it easier to remove and reattach without leaving any marks on the cake. There you go, that's my sharing on how to stick fondant decoration on cakes. 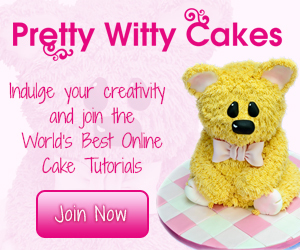 Hope this helps in your fondant decorating projects!